Sterling Silver Eagle Feather Dangle Earrings by Metal Arts Group. 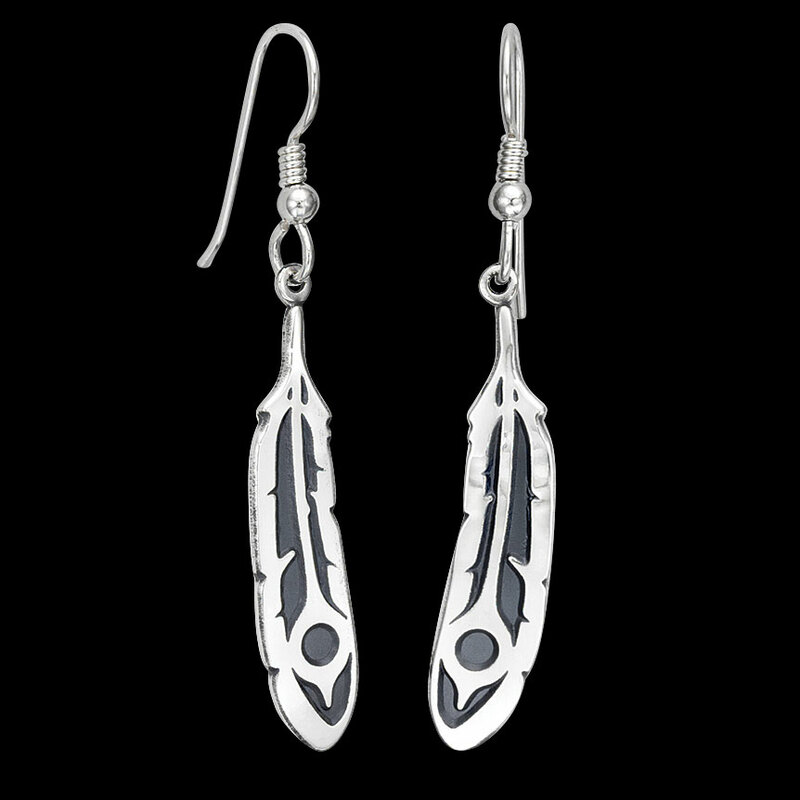 1.4 x 0.3 inch Sterling Silver Eagle Feather Earrings by Robert Hewson. Made in USA.